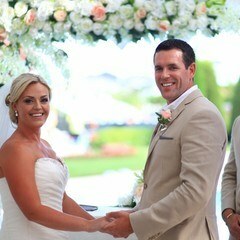 Kellie & Thomas reached us for their Wedding Ceremony in Turkey-Antalya through our dealer in the UK. 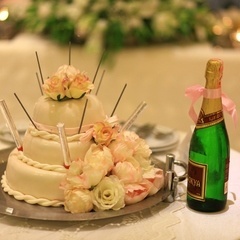 We have had 1-year correspondence for the formal Wedding Ceremony in Turkey- Antalya. We met face to face with Kellie & Thomas when we met at the Hotel for the wedding and preparation of an official wedding ceremony in Turkey-Antalya. 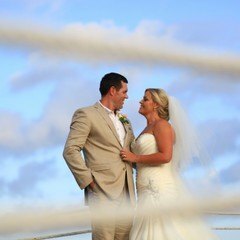 Couples anywhere in the world always ask us about official wedding in Turkey-Antalya; for example, do you need a lot of time for the formal wedding and Formal wedding in Turkey is valid? etc. formal wedding in TurkeySurely Kellie & Thomas was also experiencing the same worries. We met at 09:00 o’clock. Paperwork preparation was finished at 11:00 o’clock before noon. Unfortunately, we were expecting the rainy weather, although it is in May When we check the air condition. We were all a little panic but we have prepared the wedding venue decoration at the platform near of the pool of Limak Lara Hotel as plan B. This nice venue which is the most special place of Limak Lara Hotel was the better than we expected. Kellie & Thomas and wedding guests liked very much the wedding venue. 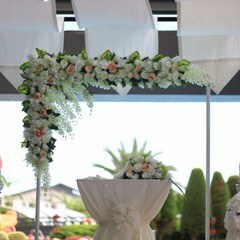 The wedding decoration was a lot of meaning combined with stylish people. 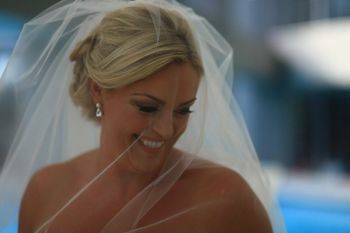 Dear Kellie was very stylish and elegant bride. She was one of the elegant and very beautiful brides that I have seen them at the wedding. Thomas also looked very stylish and charismatic in the gray suit. They looked like two drops of water during wedding photography. I was impressed by their elegance. My feeling is still clear as the day. Very Cheerful family photos were taken. Everyone was very cheerful and very excited. All of International Wedding Ceremony in Turkey has different color and light by itself. Our wedding has never been the same as a previous wedding. 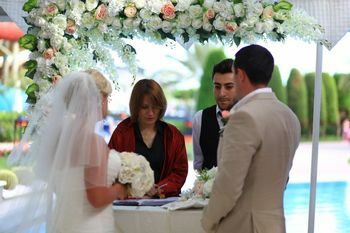 We still have the different beauties and memories from our every Wedding Ceremony in Turkey-Antalya. We have prepared a gorgeous wedding ceremony and wedding dinner reception with an experienced staff of one of our best partner Limak Lara Hotel. 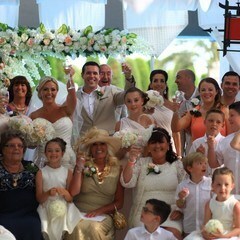 British Wedding in Turkey We have prepared a special bridal table (top table) for Kellie & Thomas and their 2 children. 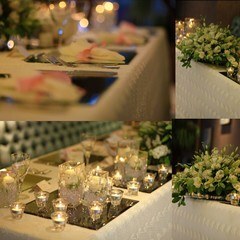 Bridal Table looked very elegant with many mirror and candles combined with fresh flowers. 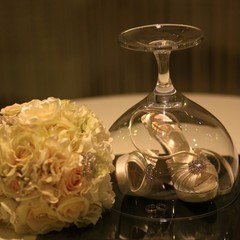 White roses were placed in different size vases together with small clear stones. 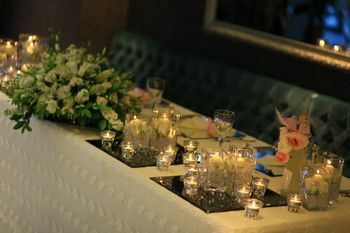 Floating candles on the water too, the Bridal table was simple but elegant. But, Posture, light, and gracefulness of Kellie had left the table decoration in the background. My Team and I will always remember Kellie & Thomas that. Wedding in Turkey is always something different but sometimes wedding of couples with too high light and energy is pushing the boundaries of excellence. We were together only 2 days with Kellie & Thomas but we still feel the same excitement when we look at the wedding photographs. Children have had fun more than everyone like always.